Peanut Butter, Pretzel, Chocolate Chip Energy Bites | Healthy. Delicious. These healthy energy bites are the perfect marriage of sweet and salty flavors and taste like my favorite candy bar! When the weather is nice, we love going on long weekend drives. I get a giant iced coffee and we set off to explore with no real destination in mind. It seems like the nicer it is outside, the further we drive – it’s easy to lose track of time and before we know it we’re halfway to Canada. Now that the sun is back out, we’ve started taking drives again. A week or two ago we were deep in the heart of Amish Country with nothing around for miles but farms, when I realized that I was starving! Luckily I remembered that I still had one of these peanut butter, pretzel, and chocolate chip energy bites in my purse from the day before. It was exactly what I needed to hold me over until we got back home and could eat dinner. 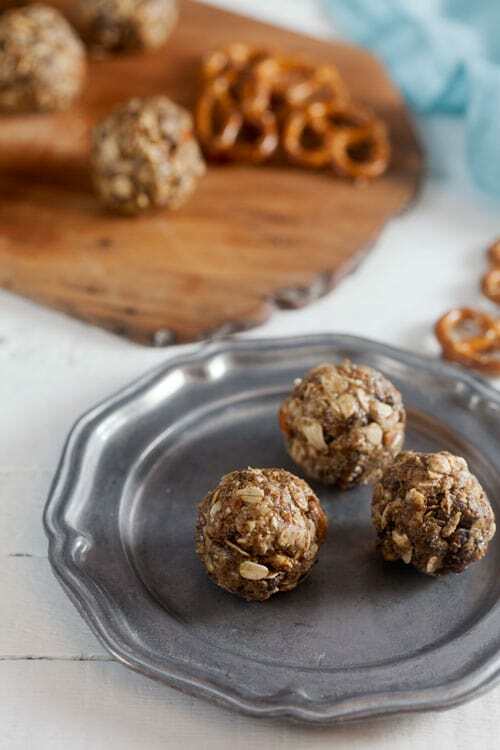 These energy bites were inspired by my favorite candy bar – Take 5 – but are a much healthier option. With the exception of a little bit of sugar in the chocolate chips, these energy bites are naturally sweetened with dates. They also have plenty of filling protein and fiber, thanks to peanut butter, oats, and flax meal. 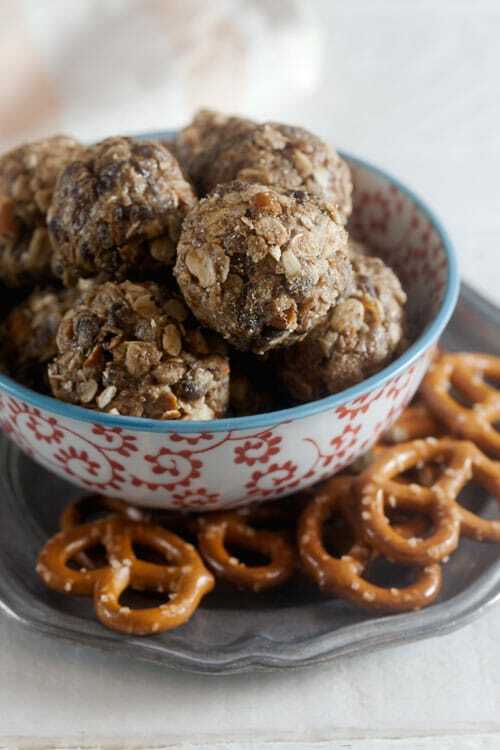 Pretzels add crunch and flavor and make these tasty bites extra special. These are great as a mid-afternoon pick-me-up, a healthy dessert, or to hold you over when you realize it’s dinner time and you’re still miles from home. Add the dates to a food processor or blender and pulse several times to form a thick paste. Transfer to a large mixing bowl. Add the remaining ingredients and mix well until all ingredients are thoroughly combined. 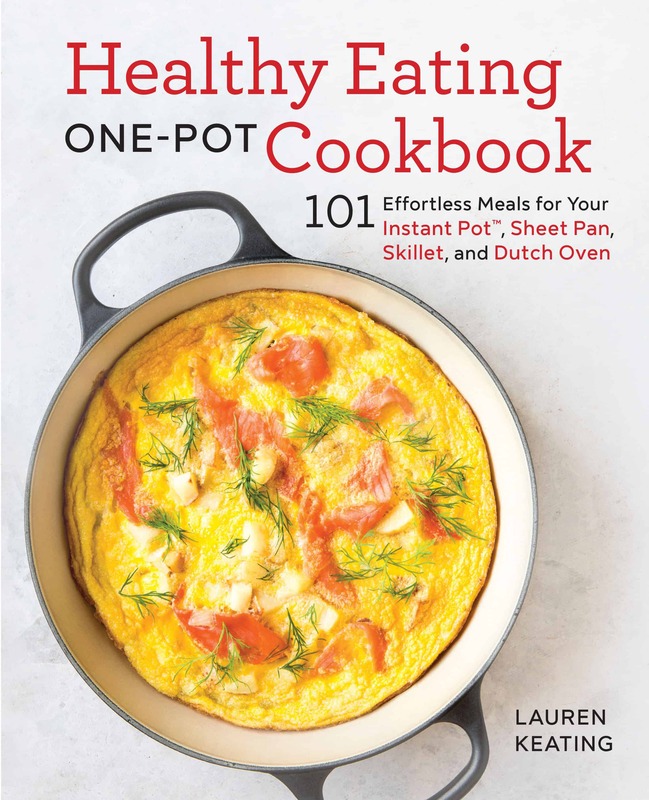 Roll into tablespoon-sized balls. If the mixture is too dry, add another tablespoon of peanut butter; if it's too wet, add another tablespoon of flax meal. Refrigerate 30 minutes, or until set. These energy bites can be frozen for longer term storage. © 2016 Healthy. Delicious.. All rights reserved. I happen to have a whole package of dates in need of a job. I should carry around a few of these everywhere, because it seems like I am always hungry, and a sweet-salty combo covers all the bases! This is right up my alley. Dates are one of my favorite snacks and the salty and sweet combo is the best! We love road trips too and snacks are totally imperative! 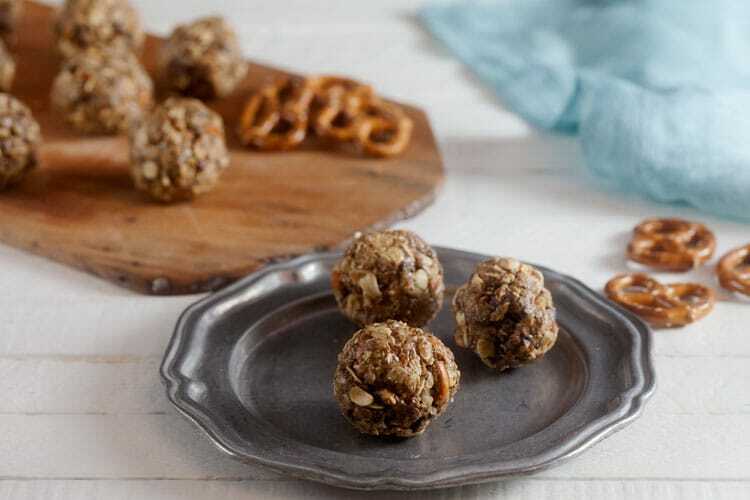 Energy balls are always a good idea and the addition of pretzels is just about the best idea ever. Can’t wait to try these out. Dates are such a miracle fruit, I swear. 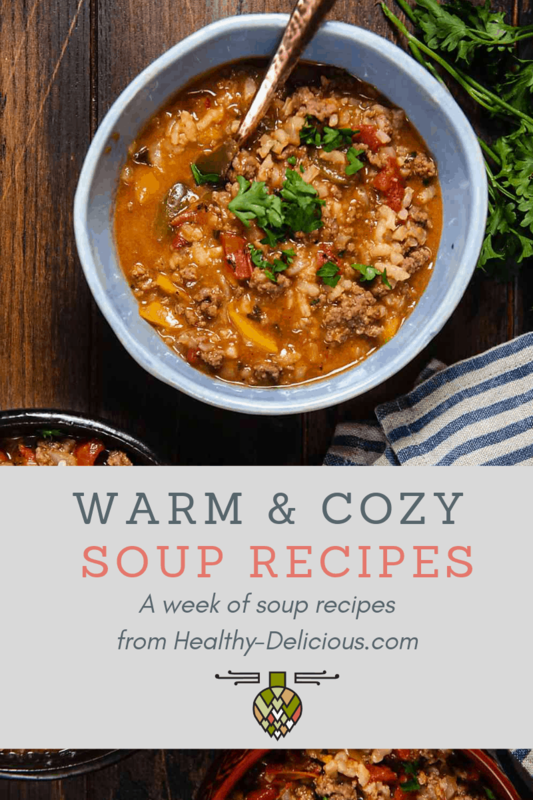 I need to keep them on hand at all times to make recipes like these! Oh yes, that’s exactly what I was thinking when I heard the name of these – Take 5! Do they even make those anymore? I haven’t seen one in years it seems like. These sound like the perfect little pick-me-ups!